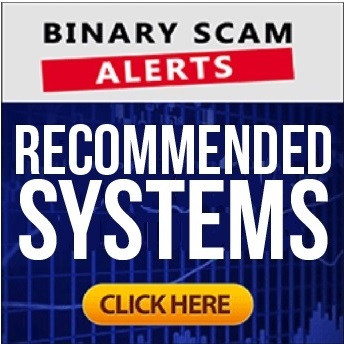 Binary Scam Alerts » Scam Reviews » CFD Society Review, Dangerous CFD SCAM Exposed With Proof! 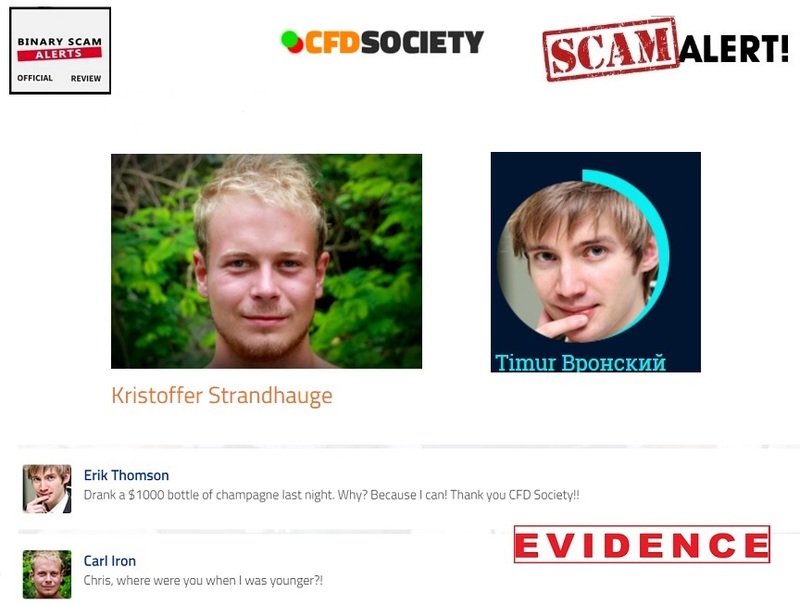 The CFD Society software by Chris Chase is a dangerous blacklisted SCAM, and we will provide all the proof required to validate our claims in our fair and impartial review and investigation. Don’t be fooled by the CFD (Contract For Difference) sales pitch, when we signed up we were directed to the cashier section of the software of a binary options broker named 10 Markets. This manual signaling system (it’s not a trading robot) has nothing to do with CFDs and everything to do with binary options. We already know the affiliate marketers behind this fake app, and we were actually warned not to expose the identity of these crooks so we will just expose their fraudulent signaling system instead. If you received a SPAM email invitation to join this sham, make sure to unsubscribe immediately and never click on any links. We have it from a trusted source that these emails will infect your computer with a virus and install spyware on it. The presentation may seem a bit cheap because there is no presenter, but quite the opposite is true. It is extremely effective at deceiving, misleading, and baiting innocent day-traders looking to make a buck trading binary options online. Keep reading to see how we exposed these crooks and why the CFD Society is a dangerous financial SCAM. Below is an image of Chris Chase. It is taken directly from the CFD society main sales page. It is plain to see Chase is an image bank actor and you can pretty much bet your bottom dollar he knows nothing about online trading, CFDs, or binary options. In the second image below, we can see fake social profiles integrated into the sales page, and these are also image bank actors. We see Carl Iron and Erik Thomson who are really Kristoffer and Timur. Fake testimonials from Fiverr.com are also present, and here we see an actor named simplysoccerpro. He is very active and will sell his left kidney for a measly $5. Chase is trying to sell us a proven signaling system that allows you to siphon thousands of dollars a week from the stock market. This is all done legally, and you are actually stealing money from the top 1% of the richest people. This fictitious character claims he’s been a highly successful CFD trader for over 18 years, and managed funds in excess of 80 Million Dollars. He allegedly built a CFD signaling system that would beat all the scams, and he did it since he was looking for a fail-safe way to make profit for his clients. He then opted for a signaling system instead of an automated app in order to give power back to the traders and let them have full control over your trades. “In a way, its like having your own adviser whispering trades in your ear”. The software analyzes the market across all asset classes. He claims the accuracy levels are 97% on average, and that only 15 minutes a day can make you $11,000 extra income every month. The signaling system is integrated with a closed circle of traders named the CFD society which profit on a daily basis and wins are practically guaranteed! After profiting upward of 20 Million dollars for the CFD society, Chase is now “lifting the velvet rope” and allowing 100 new members in who will get a free copy of his underground signaling system guaranteed to make at least $60,000 a year in passive income. But this opportunity is reserved for action takers, and this window of opportunity will close after the first 100 members register for the software. In reality we are dealing with a bona fide scam designed with pure malice to steal your money. We have all the classic tell signs such as inflated bank accounts, hyped up and exaggerated claims of “guaranteed profits”, fake testimonials, and outright lies and fabrications designed to lure you into funding a trading account under false pretenses. A contract for difference (CFD) is a contract between an investor and a spread-betting platform or exchange. When the contract expires, both parties exchange the difference between the opening and closing prices (margins) of a certain financial instrument (including commodities or shares). No, it costs money. Get ready to part with at least $250, and that money will be charged to your credit card by one of their brokers which may or may not be regulated. The hottest scams right now are Quantum Code and and Fintech Profits. It’s true that quite a few “honest” review sites accept bribes in the form of commissions to write favorable reviews. Make sure to contact us if you have doubts about a certain site, we will advise you accordingly. If you are not sure and deliberating about which is better for you its perfectly fine. We have received many questions about which system is more suitable. Fortunately our recommended section showcases all the best and most consistent money-making apps so feel free to check it out. 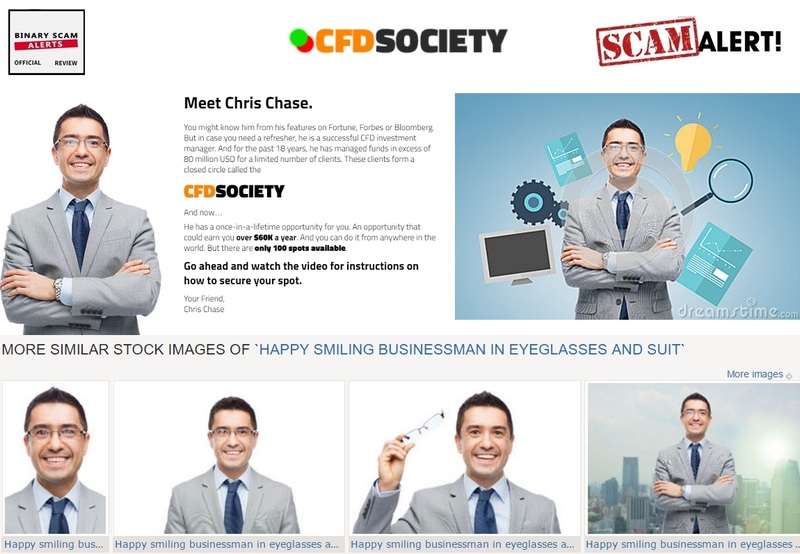 The CFD Society software by Chris Chase is a dangerous investment scam orchestrated by very crafty affiliate marketers. The people promoting this vile scheme have actually threatened us, and we take these matters very seriously so we just blacklisted their new signaling platform. If you believe this new app is legit or genuine and wish to deposit money with the program, get ready to have your money stolen without any way to get it back. We now know that the brokers are conspiring with the affiliates while attempting to defraud customers and share the loot in what is commonly referred to as a profit or revenue share scheme. In fact, many of the complaints we received indicate to use that this is the modus operandi of the people operating this software. In light of all our findings, proof and evidence our staff of researchers was able to produce, we have not choice but to categorically blacklist this fake signals solution and recommend alternative investment channels. As always, should you have any questions of queries please don’t hesitate contacting us any time via our Facebook Page and YouTube channel.